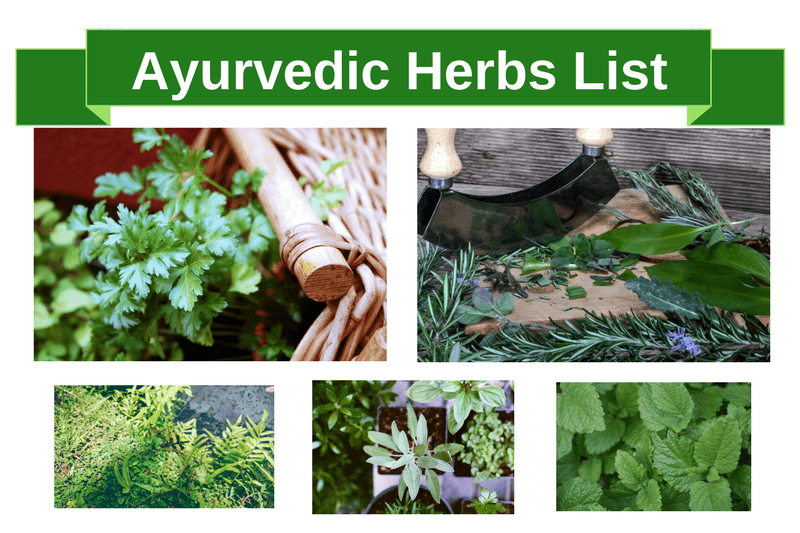 The herbs used in Ayurveda for ayurvedic treatment of an illness are collectively known as Ayurvedic Herbs. Charaka Samhita, Sushruta Samhita, and Ashtanga Hridaya have described several hundreds of herbs and their uses in the management of diseases. Ayurvedic herbs are used according to their Ayurvedic Properties and Dosha Karma (effects on Vata Dosha, Pitta Dosha, and Kapha Dosha). So, each herb cannot serve similar benefits for the same disease in different people. Some people may require Ushna (hot potency) herbs and some may require Sheeta (cool potency) herbs, according to the increase or decrease in the Dosha or aggravation of a specific Dosha. It also depends on several other qualities of the herb like Laghu (light to digest), Guru (heavy to digest), Ruksha (produces dryness in the body) etc. Therefore, before using ayurvedic herbs, ayurvedic practitioner requires establishing the right diagnosis of increased, decreased and aggravated Dosha in a patient and must analyze Ayurvedic Body Type, and Vikriti Dosha etc. Then wisely choose the right ayurvedic herb for the patient that can provide a complete relief. The right ayurvedic herbs according to Dosha karma are the most powerful to provide a complete relief from an illness. They are for treating the whole patient, not for a specific disease. Therefore, they also have side advantages to cure all other associated health problems. The best ayurvedic herbs do not suppress immunity, but they help the body to fight off the disease. They improve vitality and provide strength. Therefore, treatment with ayurvedic herbs never causes debility after an illness. Indian ayurvedic herbs help to improve the overall health of the patient.